This 80′ by 30′ towboat is a faithful model of many of the medium-size and -power towboats in the US. The design is drawn from many photos of actual boats, and can be easily modified to represent any of a class of towboat that served from pre WWII to today. Powered by twin diesels often derived from locomotive engines, supplying about 2000 hp, these boats can be seen along the entire length of the Mississippi River system. It is the median size of towboats on the system: half are longer and half are shorter. 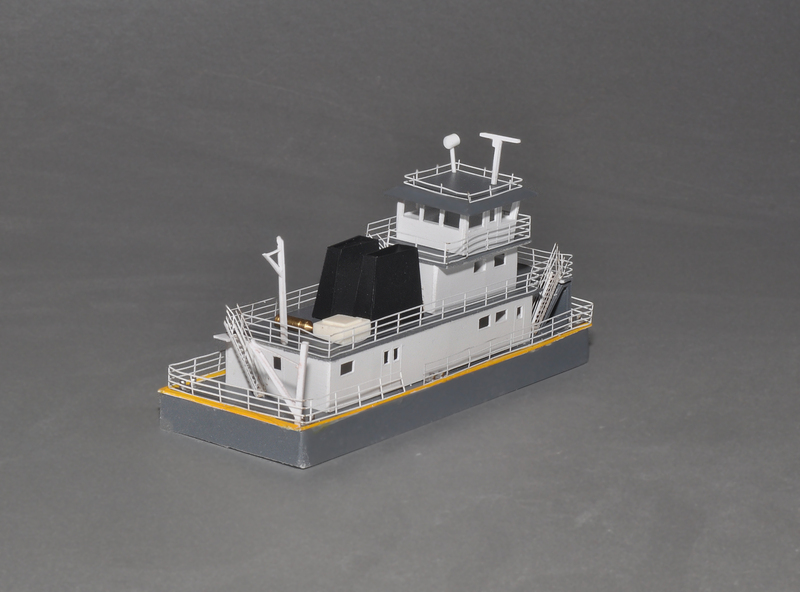 While a small gem, the model has all the features and details of the bigger towboats such as custom railings and stairways, precision cut styrene parts that allow interior views, and all the small precise details that N Scale Ships has become known for. 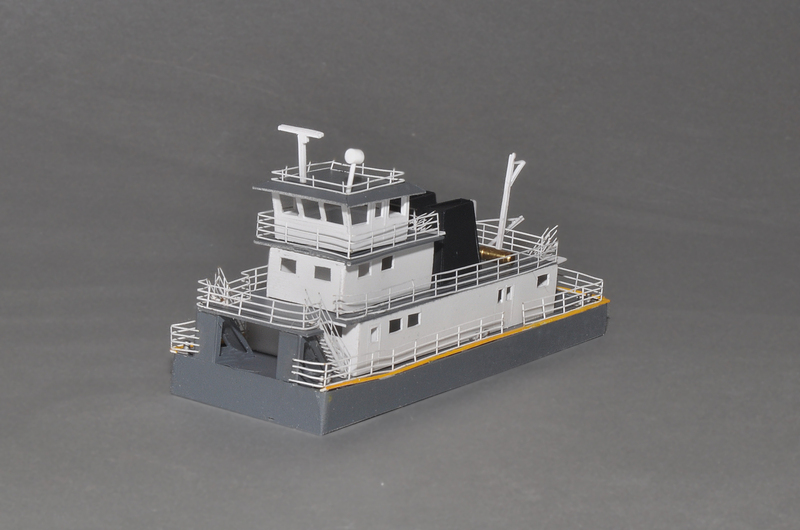 This small gem is a perfect complement to the 195′ Standard River Barges and their covers. They are often seen on the vast Mississippi River system pushing one to six barges, depending on current, or handling barges between docking facilities and their final destinations.